The bedroom should be a blissful retreat, a place to slough off the stresses of the day before relaxing into restorative sleep. But if bedtime makes you feel more tense than tranquil, it may be that your boudoir is simply not conducive to calm. Look to these easy hints and hacks for the solution. Think of the pleasure of sliding between crisp hotel sheets and aim to re-create that feeling at home. Beyond high-thread-count cotton, the sheet fabric du jour is pure linen, which is lovely and cool to sleep under and only grows softer and more luxurious over time. 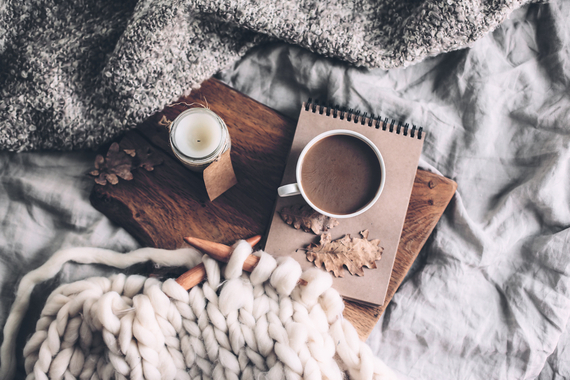 For winter, try softer fabrics to create a snug cocoon for yourself; cotton jersey feels like a well-worn T-shirt, while pillowcases in velvet are like a hug for your face. Good lighting sets the tone for rest and romance, but if you’re relying on overhead lights, the effect can be like trying to wind down for sleep in an operating theatre! If the downlights have dimmers, use them. Otherwise, ignore the overheads and replace them with bedside lamps. Use warm white light bulbs and opt for shaded lamps – the aim is a dim glow, just enough to read by. As the least public space in the home, the bedroom can sometimes become a bit of a box room. If the detritus of everyday life has begun to creep into this sacred space, it’s time to declutter. Clear out all but the essential furniture items, do a deep purge of overcrowded wardrobes and address the source of any mess, whether it’s building more storage elsewhere in the house, or simply finding a dedicated spot to hang clothes you don’t wear often. While you’re at it, do a digital detox – the bedroom is no place for laptops, tablets and phones, which are all sworn enemies of sleep. A soothing space appeals to all the senses, so try adding a beautiful scent to set a restful mood. Lavender, chamomile, sandalwood, jasmine and bergamot are all said to help foster sleep – choose whichever appeals to you most, in whatever form you like: a pillow mist, infused in the bath, essential oil dabbed on the wrists or an oil diffuser (a safer option than scented candles in the bedroom). 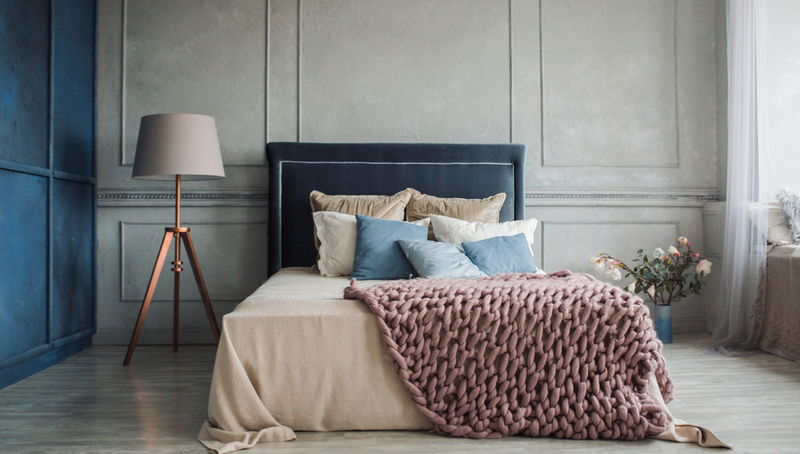 Layering the room with soft textures not only adds visual warmth, but the cosiness of knitted throws, velvet cushions and the like will tantalise your sense of touch. Adding textiles to the bed is also an opportunity to introduce a richer palette of on-trend hues and change things up from season to season. By keeping your bedroom look fresh, you’ll get a little fizz of joy every time you walk in. While you’re layering, don’t forget the floor. 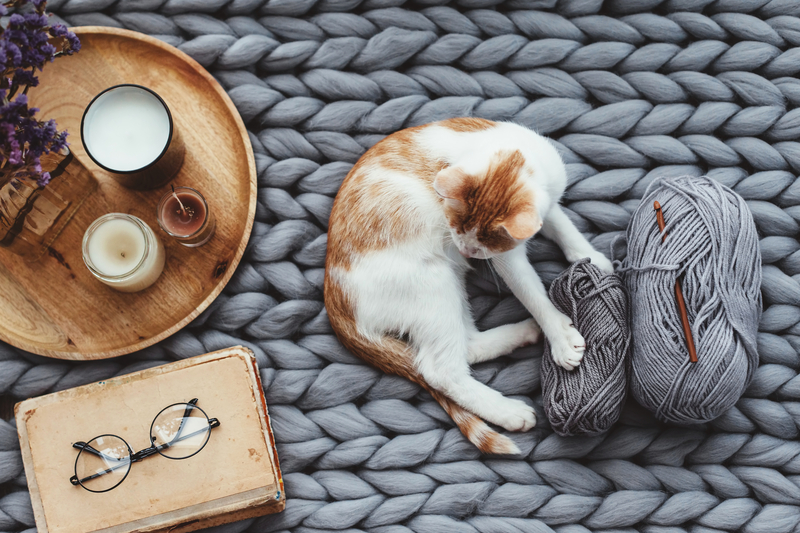 A rug by the bed both warms the room and feels lovely underfoot, giving your tootsies a dose of comfort first thing in the morning and last thing at night.